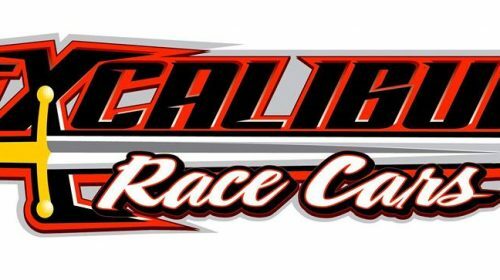 Carnesville, GA – FASTRAK Companies International, LLC is excited to welcome Excalibur Race Cars as a sponsor of the FASTRAK Racing Series. 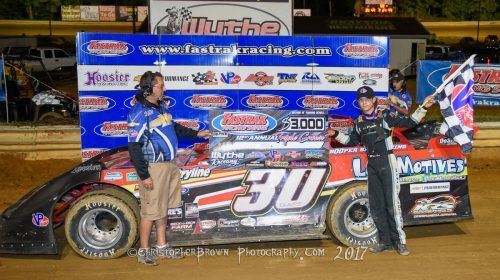 The Church Hill, TN based chassis builder, owned by Vance Surratt, is coming on board for the 2018 season and beyond. “We are looking forward to building this partnership and working alongside FASTRAK into the future,” said Surratt. 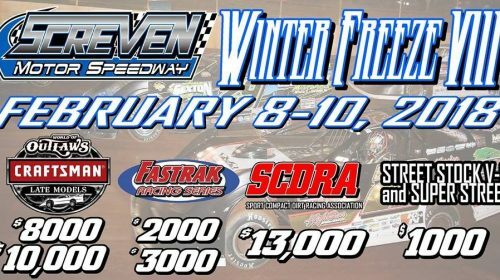 Officials with the FASTRAK Racing Series have announced that the season opening event, the Winter Freeze, at Screven Motor Speedway on February 9th and 10th will be ran under the 2017 rules package. FASTRAK holds its annual rules meeting in conjunction with the Night of Champions annual awards banquet on January 27th, just two weeks before the Winter Freeze. 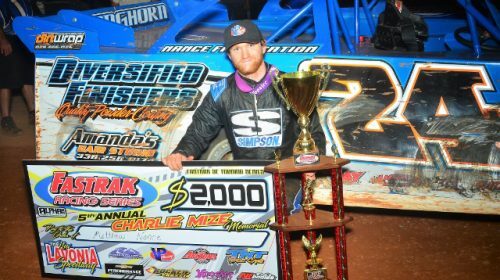 Carnesville, GA – The FASTRAK Racing Series is gearing up for the 2017 Championship Weekend, a two-night event at Screven Motor Speedway, November 17th and 18th. The first night of Championship Weekend will be a $2,000 to win feature event with the second night paying $3,000 to win. Carnesville, GA – Henry Hornsby III of Bradley, WV claimed the 2017 FASTRAK Weekly Points Championship. Hornsby, who drives the number 39 Longhorn, collected nine wins during his Championship campaign. He is sponsored by Henry’s Radiator Shop, AAA Mini Storage and Bradley Car Wash. RURAL RETREAT, VA – Although he was wide awake, FASTRAK Pro Late Model Series Mid-Ohio Valley Region point leader Tyler Bare of Rockridge Baths, VA said his #30 Loco Motives Rocket was a dream on Saturday night, as the second-generation driver won the 50-lap second jewel of the 12th Annual FASTRAK Pro Late Model Series Triple Crown at Wythe Raceway worth $3,000. CARNESVILLE, GA – The closest Championship point battle in all of dirt late model racing heads to Screven Motorsports Complex on Saturday night, July 22 when the FASTRAK Pro Late Model Series South East Region will compete in the $2,000-to-win, $250-to-start Rebel Yell race. How close is this Champion point battle? The top two drivers in FASTRAK SE points are tied. 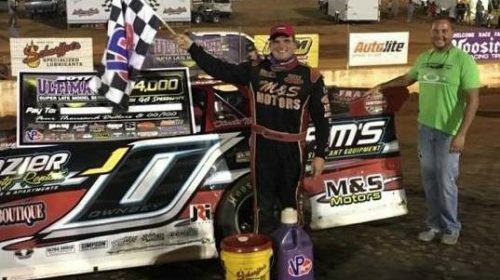 LAVONIA, GA – Matthew Nance won his first career FASTRAK Pro Late Model Series South East Region Tour race by being hotter than a firecracker on the July 4th Weekend. 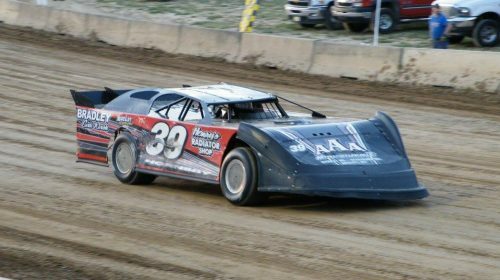 Nance drove the Diversified Finishers Longhorn to Fast Time honors, won his eight-lap Heat Race, and then led all 40 laps of the feature to sweep the 6th Annual Charlie Mize Memorial at Lavonia Speedway. 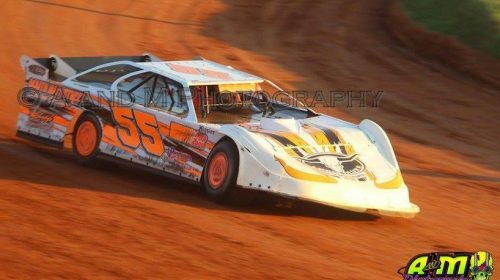 CARNESVILLE, GA – Round 6 of the 2017 FASTRAK Pro Late Model Series South Region Tour will take place this Saturday night at Lavonia Speedway in Lavonia, GA with the 40-lap $2,000-to-win, $250-to-start 6th Annual Charlie Mize Memorial Race. When we attend a race at a dirt track, we probably don’t stop to think about the legacy of that track. CARNESVILLE, GA – Round 6 of the 2017 FASTRAK Pro Late Model Series South East Region Tour will take place just minutes from the FASTRAK Corporate Headquarters on July 1 at Lavonia Speedway in Lavonia, GA with a $2,000-to-win, $250-to-start race. Just 16 points separate the top five in the FASTRAK SE point standings. 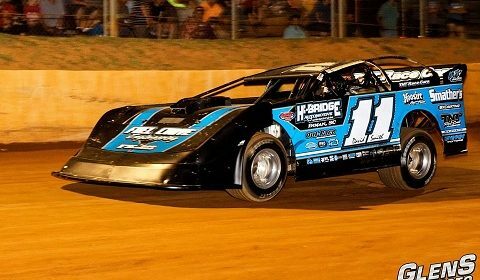 CHATSWORTH, GA – John Ownbey of Cleveland, TN drove to his second career ULTIMATE Super Late Model Series South East Region win on Saturday night at North Georgia Speedway. Ownbey held of a hard charging Michael Page of Hardeeville, GA to take the victory worth $4,000. ULTIMATE SE championship contender Jason Welshan of Maryville, TN finished third in the Hidden Hollow Motorsports Longhorn, and ULTIMATE SE point leader and Autolite/Fram/DirtOnDirt.com Rookie of the Year point leader Tyler Millwood of Cartersville, GA took the fourth spot.